TweenToggle is a plugin for Unity3D. It's built on top of the existing LeanTween library. TweenToggle provides a code alternative for showing and hiding (essentially "toggling") game objects in the scene, and becomes really useful when you want many moving parts for switching UI states. 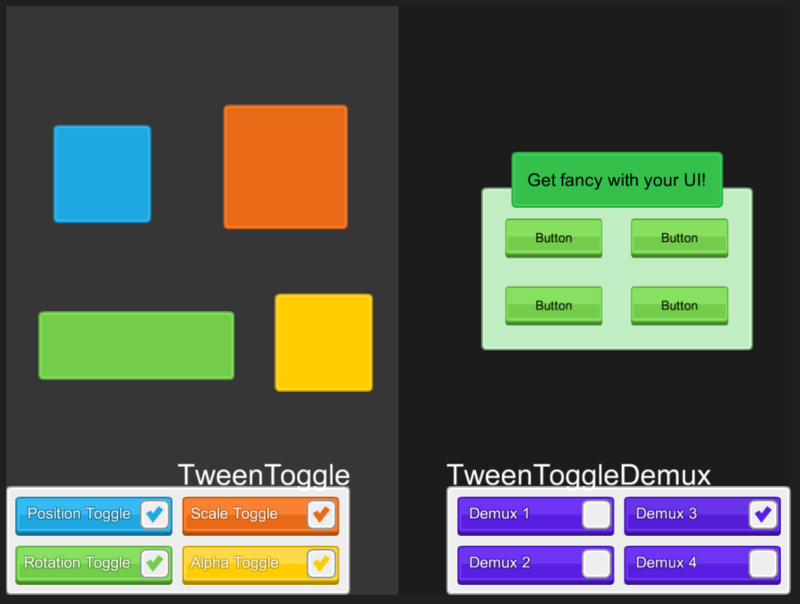 Menus and HUDs usually have multiple components that you would want to move separately, TweenToggle allows you to easily set up complex tweens.